mad street cred: "Put Your Manners Back In"
I thought this Tom Cruise interview had been lost in the great abyss, but my sister sent me the link to the transcript tonight. The interview took place in Australia. I saw it on TV here. It was so funny. Granted, during some of this he makes a valid point. But in the course of the interview, Peter came off as so calm and level-headed, and Tom came off as crazy, saying things that didn't relate to each other, snapping back at Peter, and making little to no sense. I wish I could find the video. PETER OVERTON: Do you feel discriminated against when people say this is what Scientology is, that you're a bunch of lunatic fringe or whatever? TOM CRUISE: No one's ever said that to me. PETER OVERTON: No, I mean that perception out there. TOM CRUISE: But that's not the perception out there. That is absolutely — maybe from your perspective. TOM CRUISE: Well, how would you feel? TOM CRUISE: Not even your own faith — I find that appalling when people who don't know what they're talking about say things like that. I think it's ... I think it's appalling. I think it's appalling that they're still burning synagogues in France. I think it's appalling how certain Muslims are being treated. I think it's absolutely appalling when we talk about freedom of speech and human rights. I think it's appalling that they electric shock people. I think it's appalling that they drug children. I think it's appalling that they say that there are no solutions for those things. I think it's appalling that people have to live a life of drug addiction when I have personally — personally — helped people get off drugs. PETER OVERTON: I suppose they're questions that people want to know. 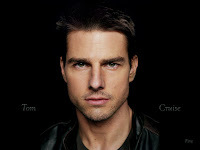 TOM CRUISE: Peter, YOU want to know. Take responsibility for what you want to know. Don't say what other people… This is a conversation that I'm having with you right now. So I'm just telling you right now, okay, just... put your manners back in. Also, the end is pretty good. But you just have to go and read it all the way through. It's relatively short. Oh Tom. yes, oh tom. he needs to eat a diiiiiick. here it is in case anyone's still interested! it's pretty funny lol oh cruise.. you're so incredibly good looking but so incredibly weird..
the video is at ninemsn and is called "cruise control"